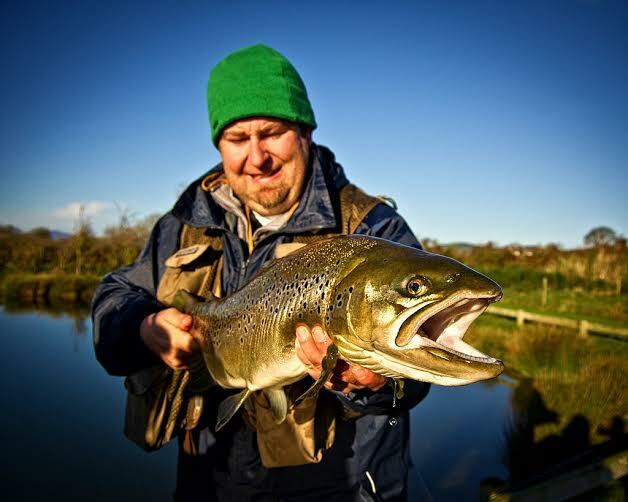 Some challenging fly-fishing for brown and rainbow trout is available on the nearby reservoirs, which can be fished from a hire boat. The average size of the trout in these reservoirs is 3lbs with some fish of up to 6lbs being caught every season. Some of the small waters hold brown trout to 18lbs weight. 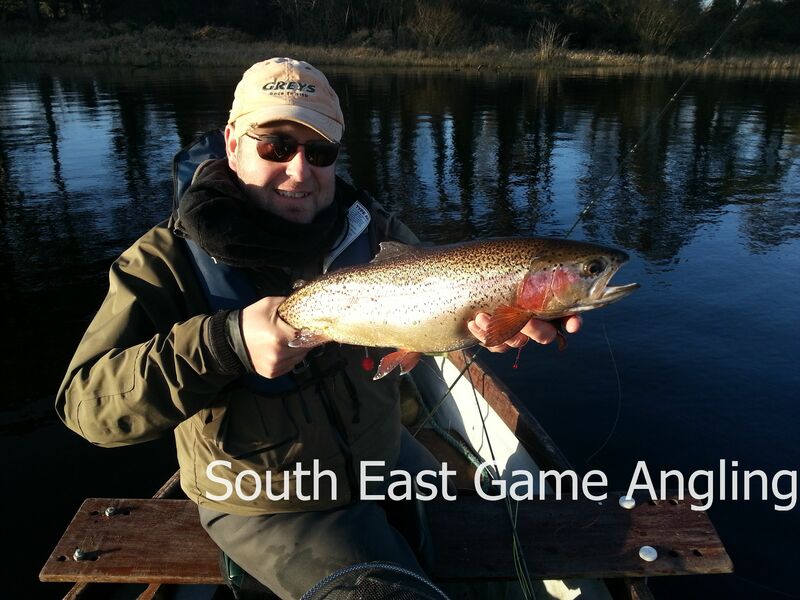 The quality fishing on these reservoirs has been featured in Irish angling magazines on a number of occasions. These larger waters are open from March through to January. The wearing of a lifejacket is mandatory on these lakes. 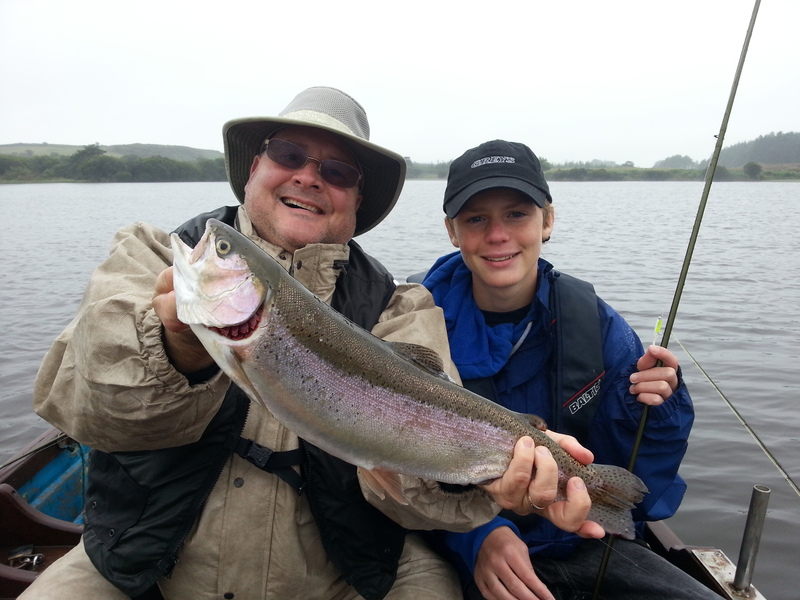 There are also smaller waters that can be fished from the bank with trout up to 16lbs weight. A fishing permit is required to fish these waters. These small waters are open all months of the year and are ideal locations for beginners who want to learn to cast a fly and also to catch their first fish. 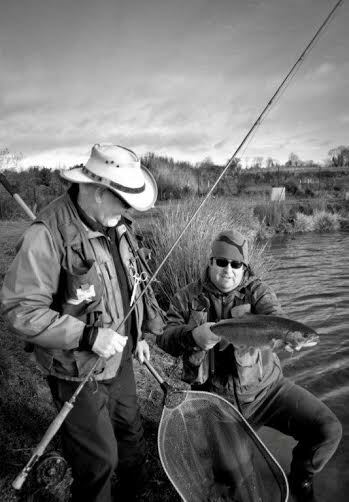 Happy Canadian anglers with their first Irish trout.